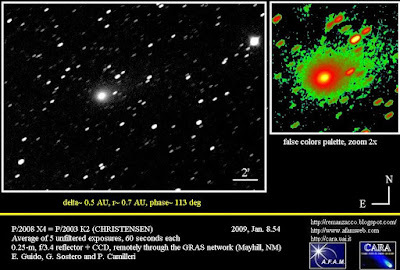 Comet C/2007 N3 (LULIN) is moving closer to Earth. 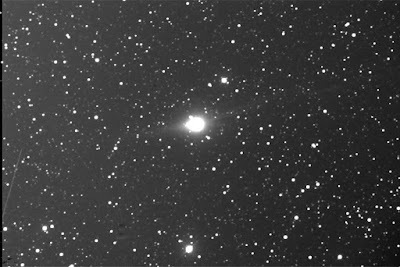 At closest approach (0.41 AU) on February 24th, the comet may be as bright as 4th magnitude becoming a naked eye object. IAUC nr. 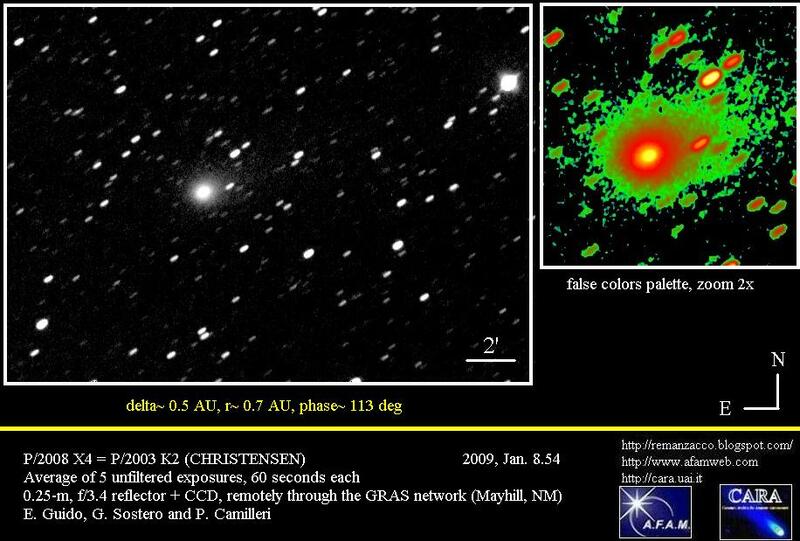 9005, issued on 2008, December 12, announced the recovery of P/2003 K2 (CHRISTENSEN): A. Watson found a comet through the SECCHI HI1-B images on Dec. 8.2; at that time, the comet displayed a very faint, short tail; subsequently M. Meyer suggested its identity with comet P/2003 K2. This interesting object has been discovered on 2009 Jan 03 by the Italian amateur Fabrizio Tozzi, remotely through the Sierra Stars 0.60-m reflector, and confirmed at first by himself, using other remotely controlled scopes of the "Skylive" network, located in Sicily and Australia. The preliminary orbital elements available published on MPEC 2009-A48 report e~0.5, a~4.6 and Incl.~ 26 deg; this is a very comet-like orbit! The object passed perihelion on July-August 2008, and at the moment of discovery it was located in Orion, at about magnitude 18. We performed some follow-up of it while it was posted in the NEO-CP webpage; in our stacking (20 x 120 sec unfiltered exposures) we cannot distinguish any coma and/or tail, the FWHM of 2009 AU1 being very similar to that of the nearby field stars. Anyway congratulations to Fabrizio for his interesting find. According to predictions, Comet Lulin may be as bright as 4th magnitude in late February when in Virgo, rapidly becoming visible in the evening sky. 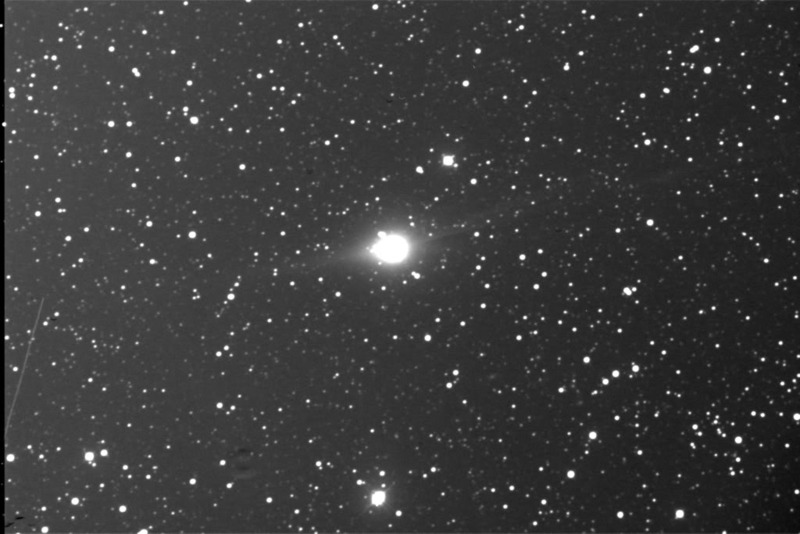 This comet is actually showing a nice sunward pointing dust tail (antitail) along with a ion tail. Happy New Year and welcome to our first post of 2009!!! 2004 XA192 has a period of 321 years and at present it's located at roughly 36 AU from the Sun. The MPEC reports a magnitude for this object around 19 on 22 December 2008, a relatively bright value for a TNO and within reach of amateur telescopes.